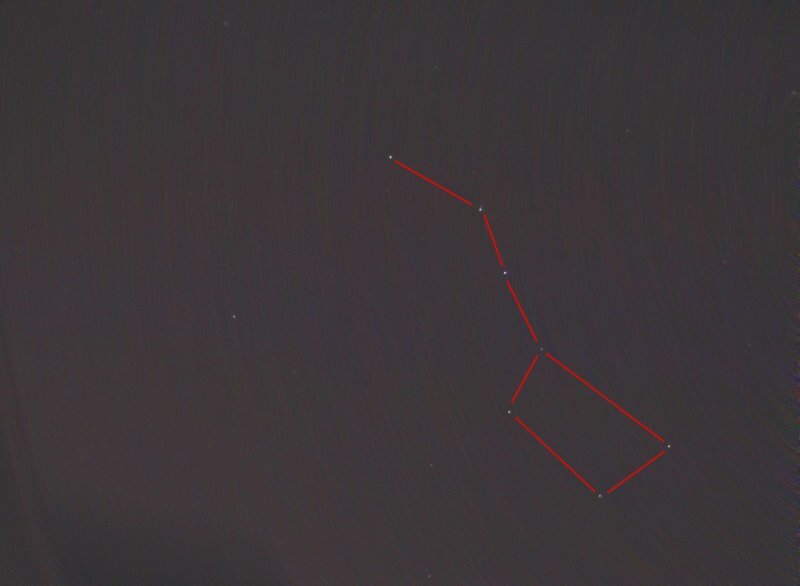 Here is the big dipper. For this image 70 individual images, all taken with a shutter speed of 3 s, were stacked together. Taken 07-22-2006.